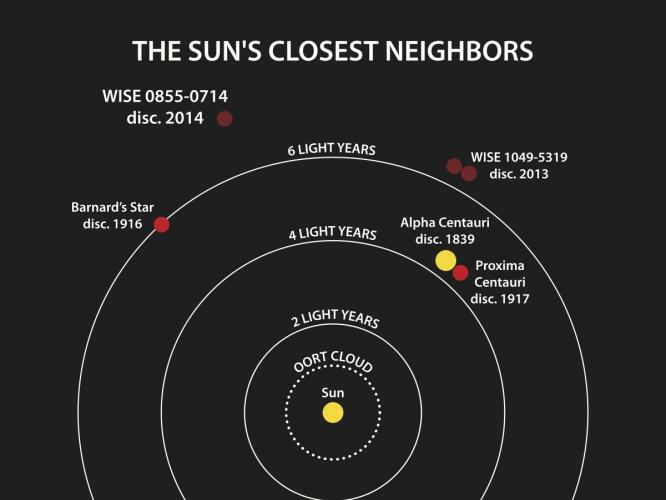 Our sun’s closest neighbors among the stars, including Proxima Centauri. Image via NASA PhotoJournal. October 12, 1915. On this date, the Scottish-born astronomer Robert Innes, at the Union Observatory in Johannesburg, South Africa, announced the discovery of what we now know as the next-nearest star to our sun. 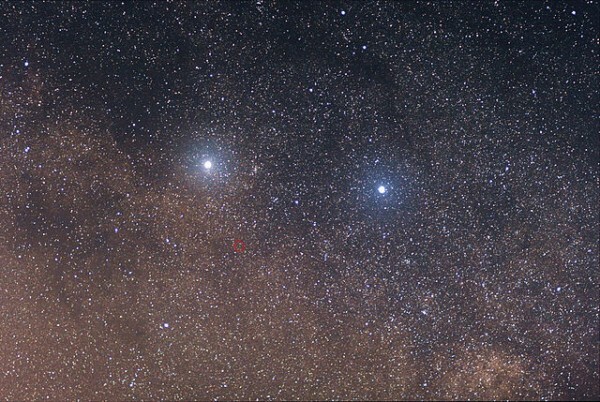 That star is Proxima Centauri, one of three known stars in the Alpha Centauri system, with the other two stars being Alpha Centauri A and B. He announced his discovery in a paper dated October 12, 1915, titled A Faint Star of Large Proper Motion. Prior to this announcement, astronomers believed that Alpha Centauri was the closest star to our solar system. But Proxima – a relatively small red dwarf star – is closer at about 4.24 light-years away. Although Alpha had been thoroughly observed by Innes, with his vast experience and passion for observing double stars he suspected that Alpha Centauri might have a companion. While comparing photographic plates that were taken five years apart … Innes observed that a certain faint star had moved. He found that this movement was about the same as that of Alpha Centauri. Today, Proxima remains widely accepted as the closest star to Earth, but it’s still not known for certain whether Proxima is part of the Alpha Centauri system. The two bright stars here are Alpha and Beta Centauri. The red circle shows the location of Proxima. 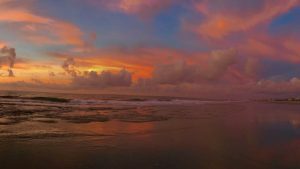 At just over one parsec away, it is the closest star to our sun. Sitting in the southern constellation Centaurus the Centaur, it is most likely gravitationally bound to the bright star on the right: Alpha Centauri. The other bright star, Beta Centauri, is about 100 parsecs (300 light-years) from Earth. Image via Wikipedia user Skatebiker. Bottom line: October 12, 1915, was the date of the publication of a paper announcing that the little star Proxima – in the Alpha Centauri system – is the next-nearest star to our sun.